I would highly recommend this place for quality and excellence. I would like to go there again. The hotel is in a great location and I loved how close the parking was to my room. The breakfast buffet was much better than your average continental spread and the rooms were clean and comfortable. The location was great for both Sea World & Universal. The staff was very friendly and helpful. It was nice to visit a hotel with an actual breakfast buffet, not a continental style. The rooms were clean and spacious. I would definitely stay there again. It was very clean and centrally located. The rooms were a perfect size, seeing as we had two children with us. The morning of our last day, there was a musty smell. We had a leak in our room onto the carpet. Management took care of it immediately. 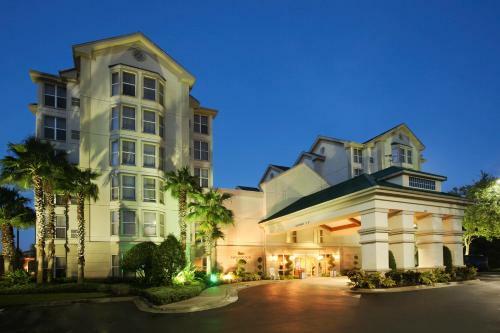 The 252 all-suites Homewood Suites Orlando International Drive provides quality accommodation at an affordable price for both the vacationer and the business traveler. 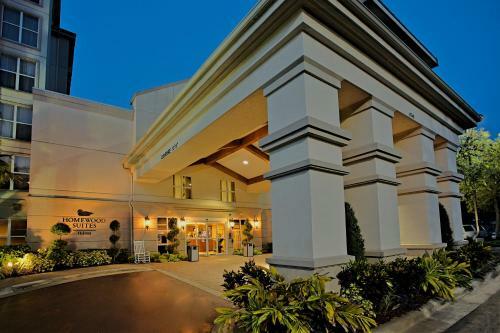 Items included with the room rate are a hot breakfast buffet, a light dinner and cocktails on midweek evenings, high-speed Internet access, local telephone calls, a morning newspaper, shuttles to all the major theme parks and parking. There are five meeting rooms available for business or social functions. The largest can accommodate 135 guests. Nearby attractions and landmarks include numerous golf courses, the Orange County Convention Center, Walt Disney World, Universal Studios, SeaWorld, the Wet 'n Wild water park, Aquatica, Amway Arena, home of the Orlando Magic basketball team and shopping at the Pointe Orlando Mall, Fashion Square Mall and the Florida Mall. The one and two-bedroom suites have separate living and sleeping areas. Each has a fully-equipped kitchen with full-size refrigerator, microwave oven, two-burner stove, dishwasher and tea and coffee making facilities. Other amenities include two remote control televisions with news and cable channels, high speed Internet access, two telephones with voicemail, an iron and ironing board and a hairdryer. 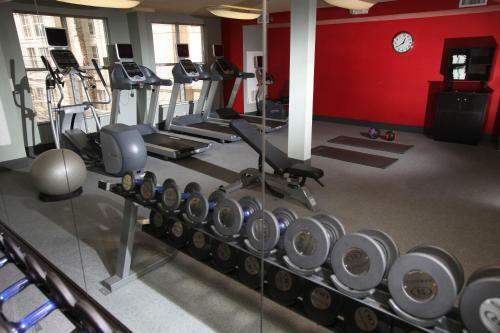 This hotel has an outdoor swimming pool and a fitness center. Restaurants nearby include a Bahama Breeze, Charlies Steakhouse, Houlihans, TGI Fridays and a Fish Bones. The 24-hour from desk has safe deposit boxes. There is a concierge desk, business center and a conference center, gift shop, coin-operated laundry and a dry cleaning service. 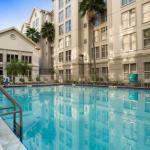 Frequent visitors to Orlando rate this as of one of the best mid-priced hotels in the area. Its location on International Drive puts 100 places to dine within walking distance. 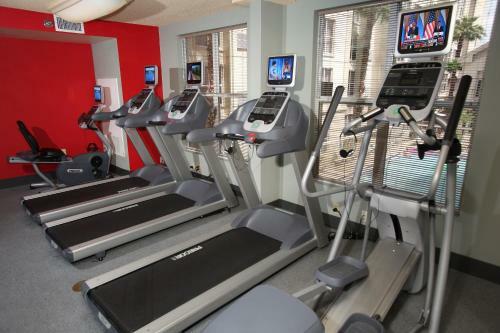 The suites are clean and comfortable and the employees here get good reviews for being both friendly and efficient. Many guests appreciated the complimentary shuttle to Walt Disney World and said they would definitely to stay at this hotel on future visits to Central Florida.